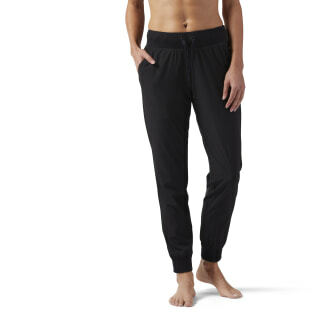 A woven pant so stylish and comfortable you'll want to wear them all day. The lightweight 4-way stretch fabrication means you can lounge however you want on your off day, or be in total comfort on your commute. The fitted cuff stays in place, while the rib at waistband and cuff give a finished look. An adjustable drawcord at the waistband and open hand pockets for casual cool style.